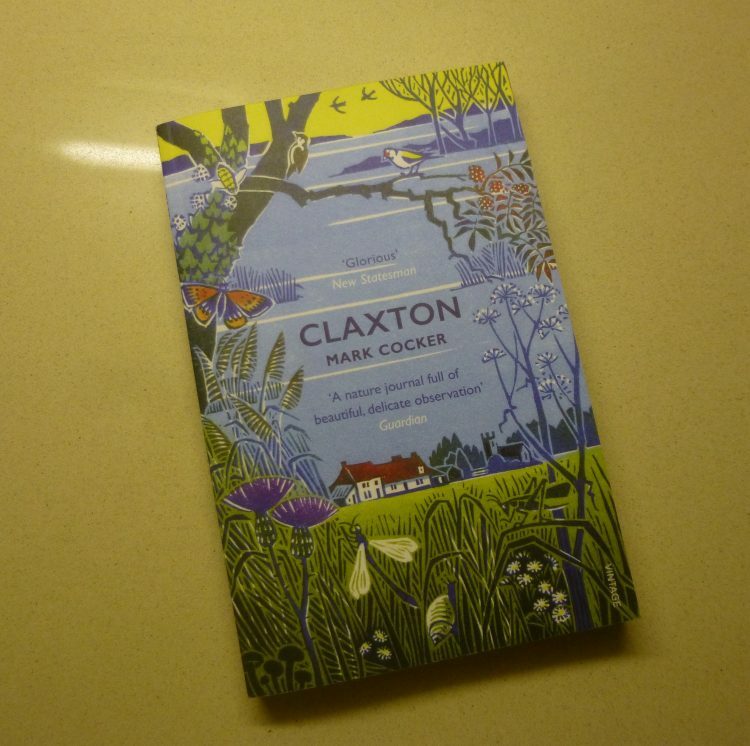 A book recommendation today – Claxton by Mark Cocker. I absolutely loved this book! The author lives in the village of Claxton, which is south east of Norwich in the Yare valley. The book is a drawing together of articles written about his encounters with nature over the twelve years he has lived there. Originally they were for a variety of newspapers and periodicals. They are arranged into twelve monthly chapters, with all the articles from one month together, irrespective of the year in which they are written. The result is a wonderful portrait of the wildlife of this parish through the year, in all its forms – birds, mammals, insects, beetles, plants, flowers, trees, fish . . . Mark Cocker writes with a lovely mixture of scientific accuracy and lyrical description, and he has a deep feeling for the ‘connected-ness’ of all living things. I read it on my Kindle, but bought the copy shown above from our lovely independent bookshop, Red Lion Books in Colchester High Street. A really enjoyable read for longer Autumn evenings!